Preventing cavities is one of the most important aspects of dentistry, whether you’re a dentist or a patient. After all, no patient wants to be told she needs fillings. That’s why we’ll spend some time today talking about ways you can prevent cavities. The first and most obvious way is through great homecare. We recommend brushing twice a day, flossing at least once, and rinsing with a trusted antibacterial mouthwash. But great brushing and flossing alone may not be enough to protect your smile, especially without healthy changes to your diet. That’s why, in addition to brushing and eating right, it’s important that you come to South Shore Dental Care about every six months for a regular cleaning and exam. With a professional cleaning, our hygienist can help you get your smile cleaner than is possible with even the best homecare routine. What’s more, our Massapequa dental office also offers two great solutions for preventing cavities—dental sealants and fluoride supplements. Though used a lot in children’s dentistry, dental sealants and fluoride supplements can help patients of any age. Dental sealants work by physically protecting the surfaces of teeth, while fluoride supplements draw important minerals to teeth, helping them stay strong. Do you have more questions about how you or your child can avoid getting cavities? We’d be happy to hear from you. Give South Shore Dental Care a call today to schedule an appointment with Dr. Dory Stutman or Dr. Khalida Stutman. 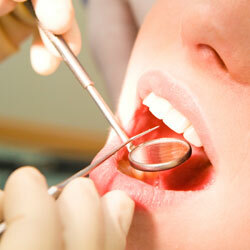 Our Massapequa dental office serves patients from Long Island, Merrick, Bellmore, and Wantagh. by: Dr. Stutman's Office at June 18, 2012 . Comments Off on How Can I Prevent Cavities?